Yako Casino is one of the relatively new online casinos on the market. It was established only in 2015 and since then it has enjoyed a significant surge in popularity. Owned and operated by EveryMatrix NV, Yako Casino seeks to provide players with an excellent gambling experience, full of fun and excitement. Yako Casino features a diverse selection of games, courtesy of some of the best software providers in the industry. 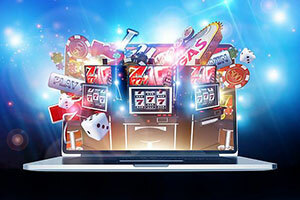 This online casino is powered by the likes of NetEnt, Play’n GO, Leander Games and several other low-profile developers. As a result, users will be able to play various different titles, ranging from slots to table games to video poker to live dealer titles. The variety at Yako Casino cannot be understated and any experienced gambler can appreciate this. Users will be able to access the online casino via their regular Internet browsers and thanks to the instant play interface the games can be loaded without any prior preparation. Similarly, mobile players can load the casino website in their browser and play any of the available games, regardless of their location. True to the industry standard, Yako Casino wants to reward those who choose to play there. Any newly registered user will be able to claim a generous Welcome Bonus, which will double their deposit up to $222 or £222 and award them 222 free spins on NetEnt’s fan-favourite slot Starburst. This promotion comes with favourable terms and there is a very high probability that you will be able to cash in this bonus. 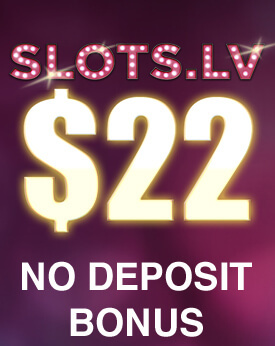 As is usually the case with online casino promotions, this bonus will be awarded to you once you make your first deposit. You can accomplish this using any of supported payment services. Yako Casino accepts payment via the best online payment solutions commonly used by gamblers. Here you will be able to use credit cards, eWallets, prepaid cards, online banking and other similar payment methods. As far as customer support is concerned, you should have problems on that front. Yako Casino supports multiple forms of communication, allowing you to get into contact with the support agents in a variety of different ways. Live chat, telephone and email are all legitimate methods which you could use. Online Since Yako Casino has been online since 2015. Minimum Deposit/ Withdrawal The minimum amount of money that you can deposit is £10, or £30 if you are using a bank transfer. The minimum withdrawal amount is £20. No Deposit Bonus At the time of this writing, Yako Casino offers all newly-registered users 22 Free Spins on Starburts, without the need to make a deposit. Welcome Bonus The Welcome Bonus at Yako Casino is especially generous. 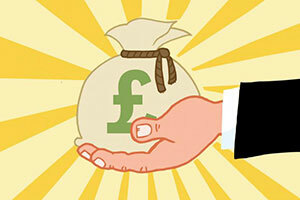 Those who claim it will receive a bonus match of 50% up to £222. 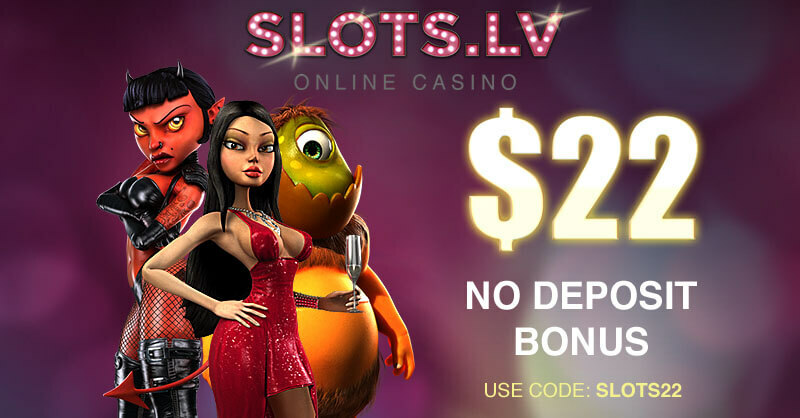 The terms to this promotion are very favourable when compared with other online casinos. New customers only, min deposit £10, wagering 40x, max bet £5 with bonus funds. 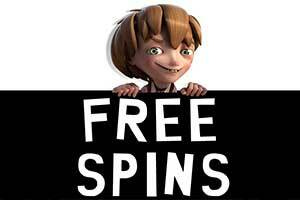 22 Yako Spins for registration (max withdrawal is £100). 50% up to £222 on 1st deposit. 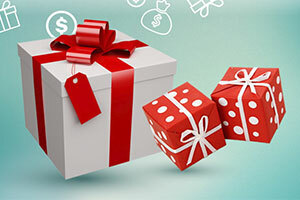 Welcome bonus excluded for players depositing with Skrill or Neteller. No max cash out on deposit offers. T&Cs apply. Regular Bonuses Long-term Yako Casino users will be eligible to receive promotions, tailored to reflect those user’s playstyle. These are pesonal promotions and each offer is unique from the rest. Loyalty Programme Yako Casino does not offer any form of Loyalty Programme, but the promotions are good enough to make up for this. Software Yako Casino is powered by several of the best software providers in the online casino industry. Here you will find games from companies such as NetEnt, Play’n GO, Leander Games, Playson and others. Game Types Yako Casino features a great variety of online casino games, including slots, video poker, roulette, baccarat, blackjack, casino poker, progressive jackpots and live dealer games. Live Casino The Live Casino available at Yako Casino is the fruit of NetEnt’s labour. 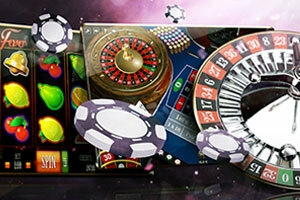 Players will be able to enjoy a wide range of table games, each hosted by a professional dealer. Mobile Casino Yako Casino greatly endorses users who play on their mobile devices. 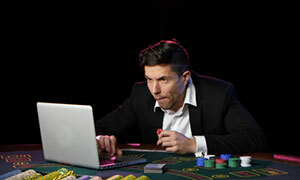 The casino can be accessed from any smartphone or tablet with an Internet connection, while the games have been adapted to be played on almost any screen size. There is no dedicated application, rather users can simply load the casino website and start playing. Deposit Methods At Yako Casino, users will be able to use multiple payment services including Trustly, Visa, MasterCard, Neteller, Klarna, Skrill, Paysafecard, entercash, Zimpler, ePro, Bank Wires, and Bitcoin. Currencies Those who choose to play at Yako Casino will be able to gamble in multiple currencies including GBP, CZK, DKK, EUR, NOK, PLZ, SEK, USD, AUD, BGN, CND, RUB, KRW, CHF, and others. Languages Yako Casino supports five different languages, more specifically English, German, Norwegian, Finnish, and Swedish. Support Customer support is available in the form of email, telephone, and live chat. Licenses Yako Casino has licenses issued by the two most respected European gambling regulatory institutions – the United Kingdom Gambling Commission and the Malta Gaming Authority. For its gaming collection, Yako Casino has partnered with some of the leading software providers in the iGaming world, including Microgaming, NetEnt, Evolution Gaming and Amatic Industries. The games boast beautiful graphics and animations, great bonuses and special features, as well as a variety of themes and genres that would captivate any type of casino player. Some of the newer releases also feature spectacular 3D animations, carefully picked soundtracks, and elaborate story lines and characters. When it comes to the variety of games, it is almost unparalleled and there is something for every player, whether a veteran casino player or a complete novice. The gaming library contains classic and video slots, progressive jackpot games, video poker variations, and a rich selection of card and table casino games. Most of them, with the exception of progressives and live dealer games, are available in free play mode so that casino patrons can try them out before investing real money. The impressive gaming collection at Yako Casino features hundreds of colourful and exciting online slots that would easily keep you entertained for hours. There is a rich selection of classic slots for those who prefer the traditional looks of slot machines – these games have a simplistic design and gameplay, and in some cases, they even feature the authentic appearance of good, old one-armed bandits. The classic slots may not always be as exciting as modern video slots, but at Yako Casino, you will find some of the best examples of these vintage casino games. The other gaming category, namely Video Slots, would probably attract even more players as it contains really exceptional online slots of varied genres, styles and designs. With more than 200 titles on this list, the abundance is almost overwhelming and includes popular games such as Thunderstruck II, Starburst, Hitman, Jungle Spirit, Avalon II, Game of Thrones, and Gonzo’s Quest. There are various video slots based on books, TV and film titles, as well as games inspired by legends, mythologies and fairy tales. Listed in alphabetical order, these video slots are easy to find and you can save them in your favourites. In addition, the casino showcases all the newly added titles and those that are most often played on its online platform. The Popular Games section of Yako Casino’s gaming library features all hit titles you may be interested in. Another classic type of game that you would find at every good land-based or online casino is roulette. It has been played for centuries in some form or another, but today, the development of technologies and the Internet has created hundreds of digital versions of it. There are plenty of online roulette games available right now and no matter how modern they are, they all resemble the classic, mechanical game. And the reason for this is very simple – roulette has always been and will continue to be extremely exciting due to its unpredictability and uncertainty until the last second where the ball would actually drop. Considered an exclusive casino game for the aristocrats and the high class in the past, roulette is now easily accessible by every player at Yako Casino. 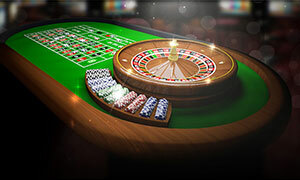 Several variations of it are available in the Table games category and players can choose from American, French or European-style roulette. In addition, there are low and high-limit versions, where bets range from 0.10 credits to 10.00 or 20.00 credits for the low-stakes and up to 1,000 credits for the high-stakes games. Blackjack is often praised for being a game of skill, an intrinsic quality that makes it extremely popular among experienced gambling fans. But even without employing any complex strategy, you can be fairly successful if you know the basics. At Yako Casino, you can play most of the blackjack variations in practice mode and learn all of its little details, specifics and tricks. The casino allows you to play with free credits for as long as you like and once you feel confident, you can register an account, make a deposit and start playing blackjack for real money. The gaming library features a few variations, including a low and high-limit Classic Blackjack games, as well as the exciting Double Exposure version. In it, the dealer receives two face-up cards, which helps the player and reduces the house edge significantly. Knowing the dealer’s both cards, you can build more efficient strategies and plan your moves more easily. 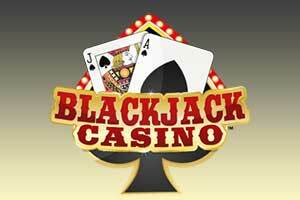 Just like with the roulette variations, these blackjack games come with a classic design, a traditional green table, fast gameplay and various customization tools. Video poker became popular three decades ago and it continues to be played by thousands of gambling fans in both online and brick-and-mortar casinos. This game has an interesting appeal that could be contributed to its nature – video poker is a weird mixture of classic draw poker and slot machine-style games. It is automated and is played against a computer, but the rules and hand rankings are based on the traditional table poker. At the same time, it is a much simpler game and could be played by even beginners. If you have little or no experience at all with video poker, you can try several basic versions of this game at Yako Casino where you will find titles such as Jacks or Better and Deuces Wild. There are many other games, including All American Poker or Bonus Poker Deluxe, which are a bit different and require a little more experience. You can also try the multi-hand video poker variations on offer where you can bet on up to 50 hands at once. 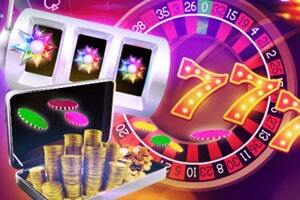 One of the most popular gaming categories at Yako Casino is the Jackpot games. But these are not regular jackpots where the top prize has a fixed amount. Playing a progressive jackpot game is much more tempting for players because these jackpots are increasing with every bet placed on them. The jackpot starts from a fixed amount and then, the sky is the limit – progressive slots such as Microgaming’s Mega Moolah games or NetEnt’s Mega Fortune are well-known as the millionaire makers in online gaming. Once one lucky player hits the jackpot, the amount of the top prize starts from its initial value once again. It is true that winning a progressive jackpot is not very likely, but when it does happen, the winner often takes home a six or even a seven-figure prize. There are not many progressive jackpot games at Yako Casino but those on offer may make you a millionaire overnight. Along with the above-mentioned games, you can also try Hall of Gods, Arabian Nights, Divine Fortune, or even the exciting Caribbean Stud Poker game which also features a progressive jackpot. Yako Casino also offers its members a great selection of live dealer games, which can be played even on a mobile device. They are grouped in a separate category, named Live Casino, and are broadcast live in HD from professional gaming rooms and casinos. However, in order to play them, you need to register a real-money account at Yako Casino and sign in before you open any of the games available. They cannot be played in free mode but only for real money after a deposit has been made. Most of the games at the Live Casino section are provided by Evolution Gaming, a leading software company that focuses on live dealer roulette, blackjack, poker, and baccarat games. There are more than 50 different live tables hosted by professional croupiers and featuring different betting limits. While most of the games have low and high stake limits, there are several exclusive tables available to VIP players. How well does Yako Casino support mobile play? 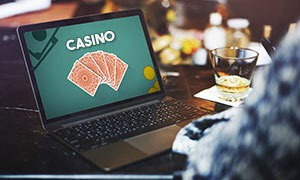 Yako Casino greatly cares for its mobile users and has provided them with a means to play their favourite titles without the need to actually sit behind a computer desk. The same instant play interface that is featured on the desktop version also benefits those who play on their smartphone or tablet. All of the available games have been adapted to be used on smaller devices, making gameplay a joy to behold. How legitimate is Yako Casino? Yako Casino is a legitimate online gambling operation, as indicated by the licenses issued by certain government institutions. More specifically, Yako Casino is certified by two of the most respected gambling regulatory bodies in Europe, namely the United Kingdom Gambling Commission and the Malta Gaming Authority. To attain just one license is noteworthy, let alone two. With this in mind, we can assure you that Yako Casino is as safe as they come. Yako Casino does indeed support live dealer games. Supplied by none other than NetEnt, here you can enjoy high-quality live games from the comfort of your home.